Stunning, prime ocean view location! Gorgeous highly upgraded throughout w/ two bedrooms located on the main level. Top floor private master bedroom retreat w/ ocean view sitting room, fireplace & a lovely spa like bathroom. 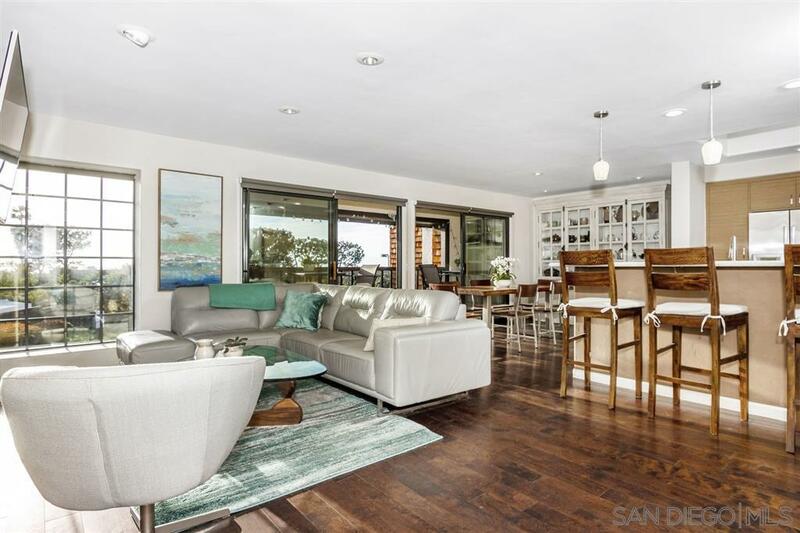 Designer touches throughout w/ a fabulous ocean view kitchen that boasts granite counter tops, stainless steel appliances, smart storage space & hardwood floors. Lower level extra bonus room! Large enclosed paito plus an ocean view deck. Walk to Torrey Pines Beach & local restaurants!, Desirable plan C- 3 bedrooms plus a bonus room- dual in home office set up. Loads of storage throughout, master suite with walk in closet and extra storage cabinets. Garage is equipped with storage cabinets, work bench and epoxy floors. Extra bonus room can be used as an in home office, small bedroom, exercise, hobby or play room. The entire unit has been beautifully maintained. Resort like living in the Sea Point is conveniently located near local restaurants and more! Quiet location with ample guest parking near the unit.